Kathyrn Lilley over at The Kill Zone has an interesting post on whether writers are being encouraged to "dumb down" their work be avoiding unfamiliar or highfalutin' words lest they turn off the mainstream audience. It'll be a sad commentary if we're condemned to confine ourselves to a sixth-grade vocabulary and eschew -- sorry, avoid -- the panoply -- I mean whole bunch -- of wonderful words that English offers. One of the strengths of our language is how it has drawn from so many others, fashioning words to allow precise description of unique things and situations. A reader -- possibly a reader, possibly just someone who didn't like a comment I left on some website somewhere -- has left a one-star review over at Barnes & Noble, complaining about the author's "political agenda" (as if authors can't have political agendas, though in fact Tainted Souls doesn't really have one). Just to show how articulate he is, the reviewer used a homophobic obscenity to describe the alleged political agenda. How about you? 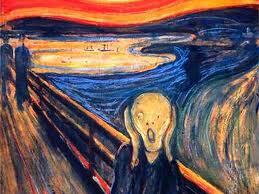 Ever had someone so mad at your "agenda" or story that they skewer you with obscenities. 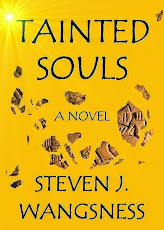 I'm leaving Tainted Souls free for a bit longer, since it's gathered some attention and prompted some new reviews, including a couple at Barnes and Noble like this one: "Very good book- held my attention and kept me guessing." I guess I'd rather have people read it for free and write nice things about it than charge for it and have no one read it, but trying to make the whole new publishing paradigm work for a new writer is quite a task, it seems.